Finally we have a new weekly Superstar gift released, and I'm actually very pleased to see what it is! It's Vinyl Black Jersey Mini Dress, and it is currently being sold in Starplaza for 18sd. Now, I definitely think this is a great deal, so get yours one today while stocks last! 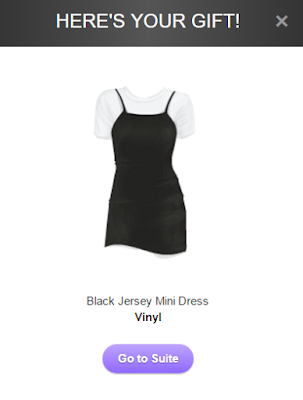 Hands up how many people had this dress on their wishlist and can now finally get it for free?